My workspace for my radio gear is pretty limited, therefore space is at a premium. The Toshiba Tecra M2 which I used as my station computer for many years finally reached the end of its life, with none of the major operating systems supporting non-PAE chipsets. 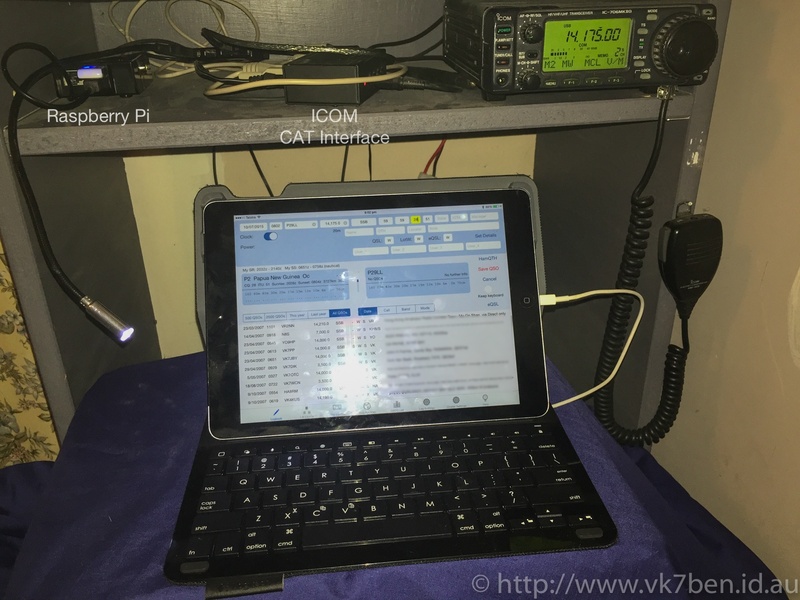 Not ready to purchase a laptop just for radio operations, I was hoping that I could use a more contemporary platform for operations – an iPad. 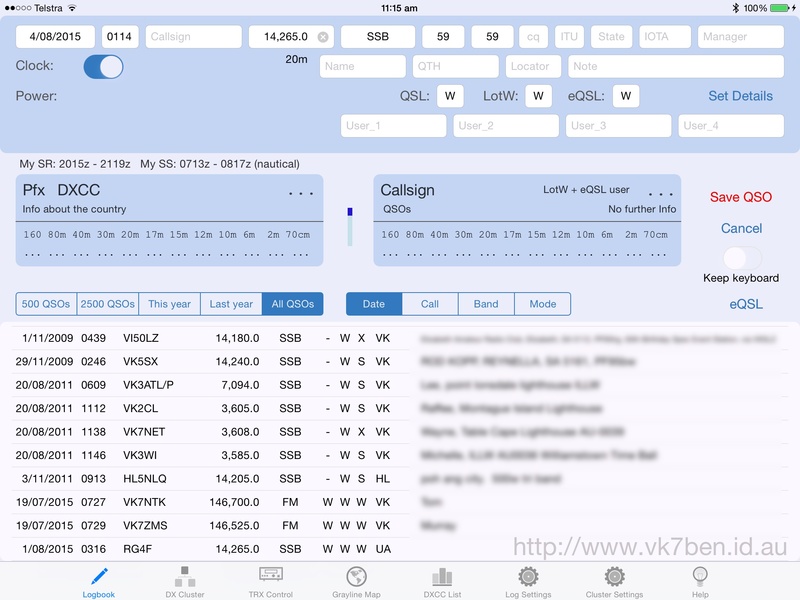 A quick search around and I came across RUMlogNG, which is easily the best logging interface I have seen in a ham radio iPad app that is modestly priced. One of the more interesting features was that basic interaction with your radio was possible (reading of frequency, mode), with the suggestion to use one of Pignology’s Piglets. Reading the specifications of the piglet, it became apparent that what it was doing was taking the serial CAT interface of the rig control, and making it accessible over wifi network to connected devices by streaming the serial data out of a TCP port. The app did not crash when I tried this, so I assumed it was running, and then configured RUMlogNG to connect to the Raspberry Pi on port 7373. Success! RUMlog did not throw any errors and back on the logging screen, I saw that frequency and mode was being updated off the radio.